low hours 197 - 500 hrs only, 2003 year. 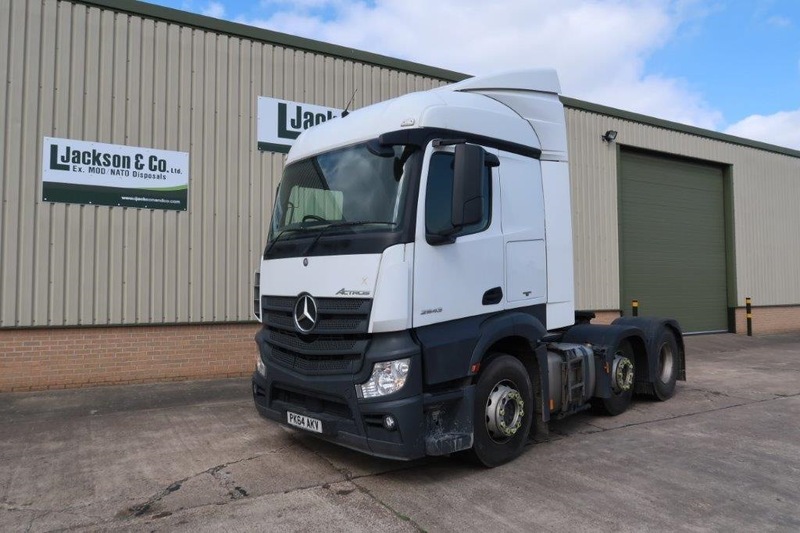 Ground level service access for daily and regular maintenance. Single key operates all locks. Optional seat mounted servo controls provides low effort, precise control of the excavator. 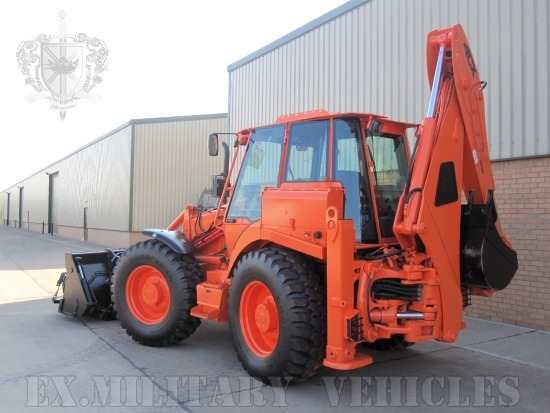 This loader is more powerful and heavier than the civilian 4CX Super. 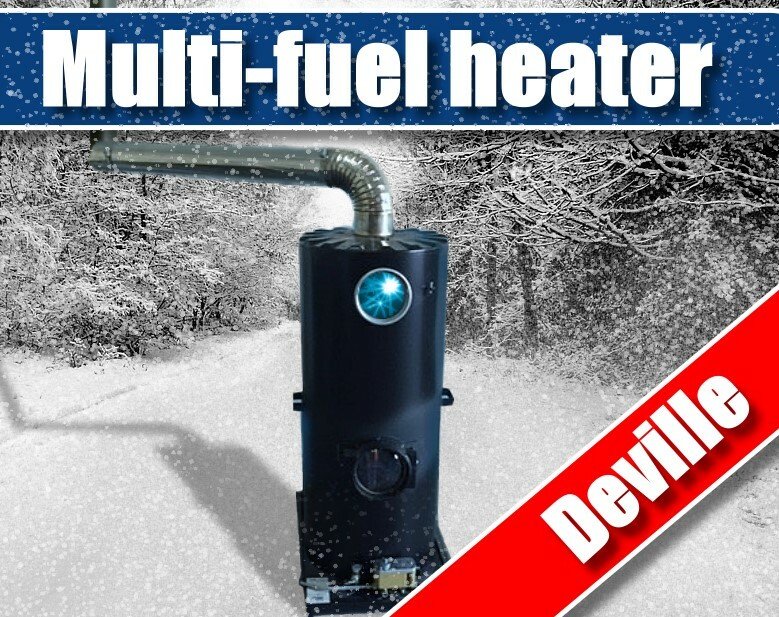 Spare parts are interchangeable from the civilian version! 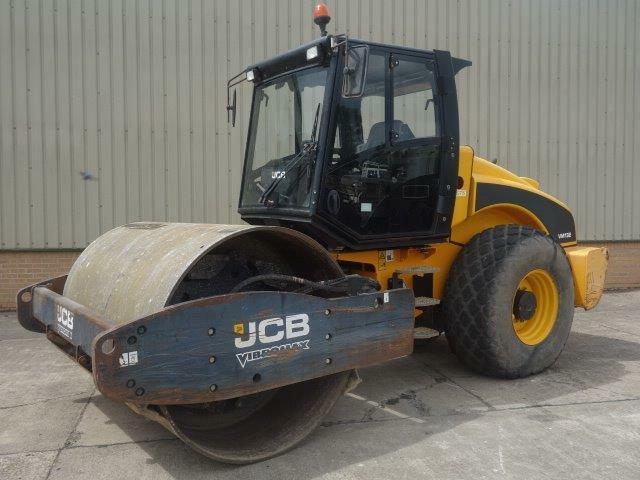 JCB 4CX MILITARY available in original Army colours or painted in colours of your choice. The JCB Military Backhoe is designed for productivity, boasting high levels of operator comfort, ergonomics and durability, as well as a wide range of optional extras to tailor its performance. JCB used only proven components and technologies in the JCB Military Backhoe�s manufacture for strong, reliable performance and minimum downtime. 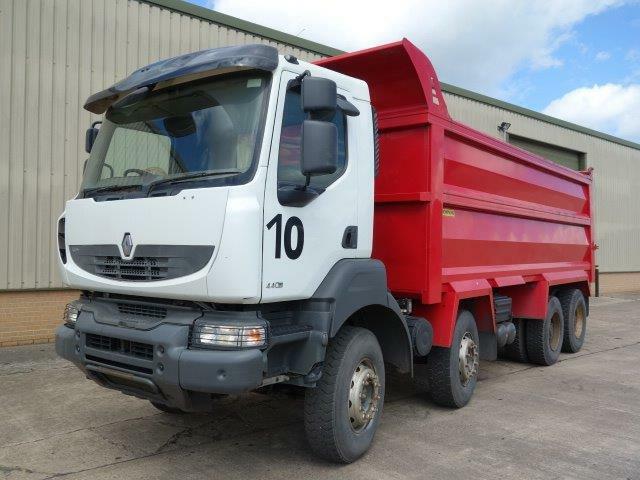 The cab is fully air-conditioned, comfortable and ergonomic, with 24-volt systems and seat-mounted excavator controls. 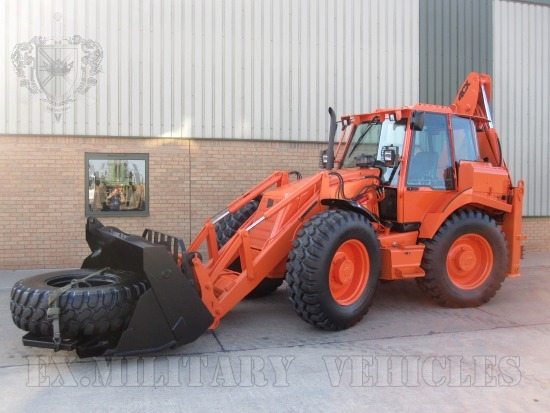 The Military backhoe can be waterproofed up to 1.5m wading depth, can have winterisation to -40�C and is available in a variety of specialist paint options. 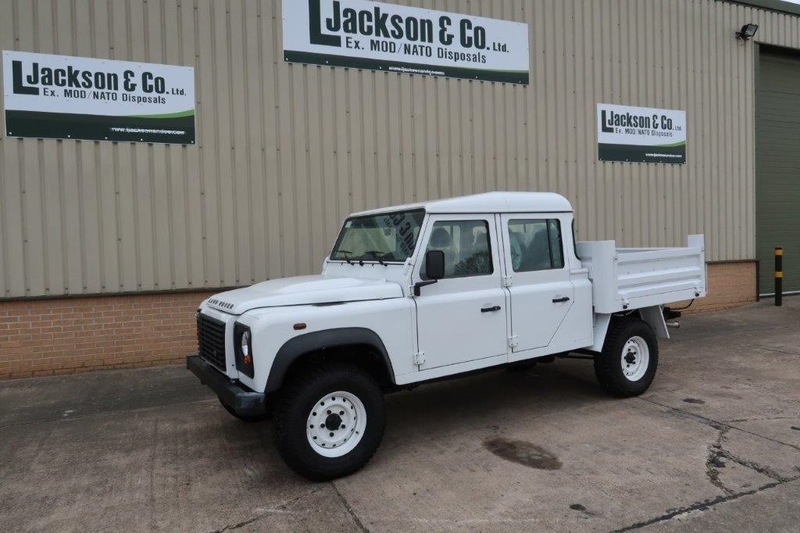 Convoy and blackout lighting is available, with lifting points, tie-down points and reduced height cabs for excellent transportability. 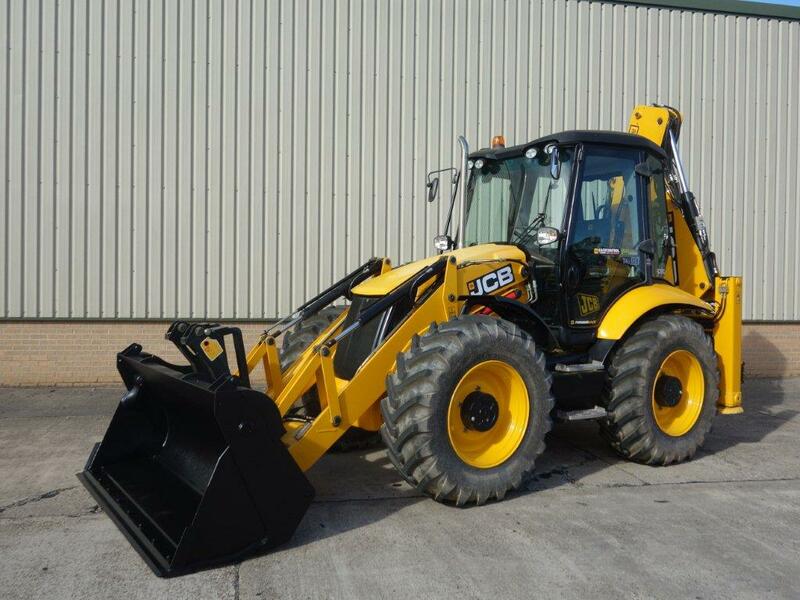 The JCB 4CX is one of a range of commercial backhoe loaders produced by JCB. 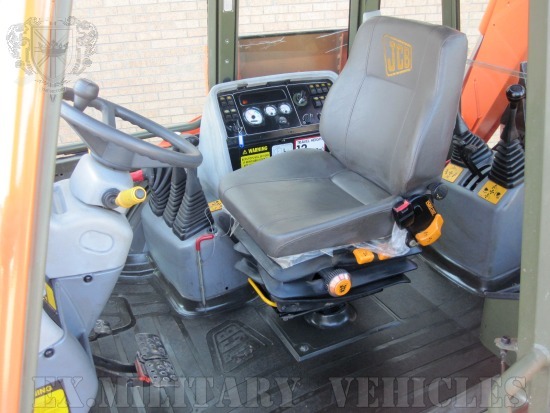 The JCB 4CXM (M - Military) is a militarised variant of the JCB 4CX, and when designated 4CXMA denotes a cab armouring package is fitted. 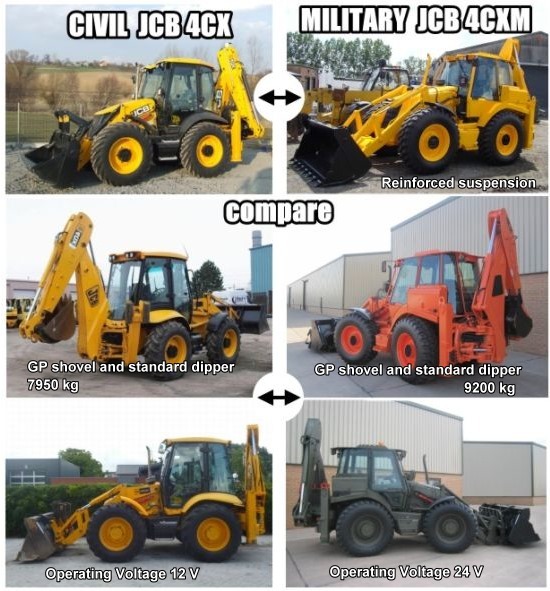 The 4CX range of backhoe loaders has recently been supplied to Austrian, British, Croatian, Dutch, French, New Zealand, Netherlands and Singaporean armed forces.Following a competitive tender, in 2002 the JCB 4CXM was selected by the British Army to become the new standard Light Wheeled Tractor (LWT), replacing a fleet of Hydrema 906B machines. 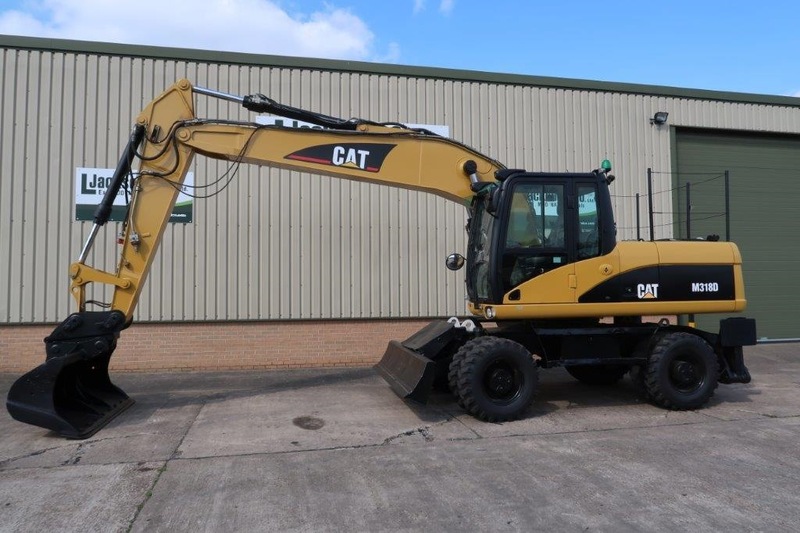 Full details of the Hydrema range of backhoe loaders can be found elsewhere in this section. 150 4CXM machines were involved in the order, with production running from October 2002 until February 2003. 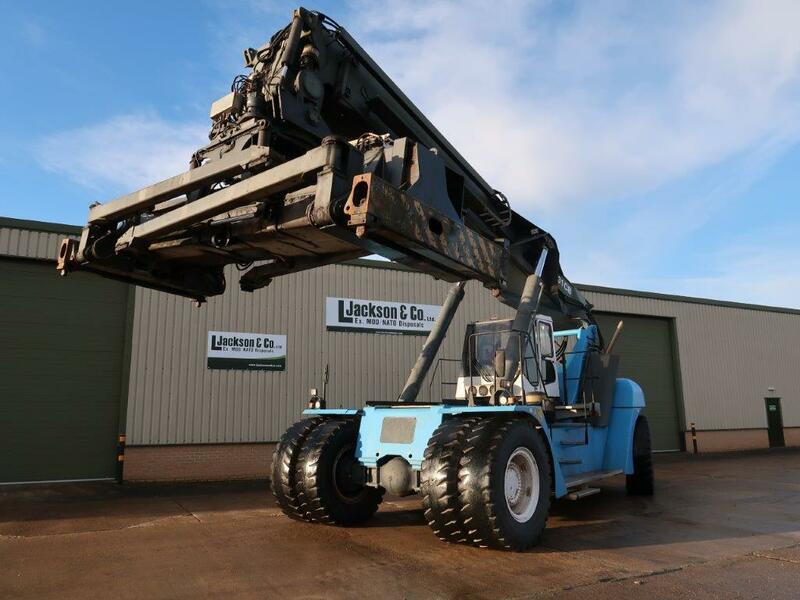 Of the 150 machines delivered eight were fitted with protection kits for Northern Ireland by Penman Engineering, and five were waterproofed and winterised by RDS.These machines are currently being replaced by ALC as part of that company`s 16-year Private Finance Initiative (PFI). 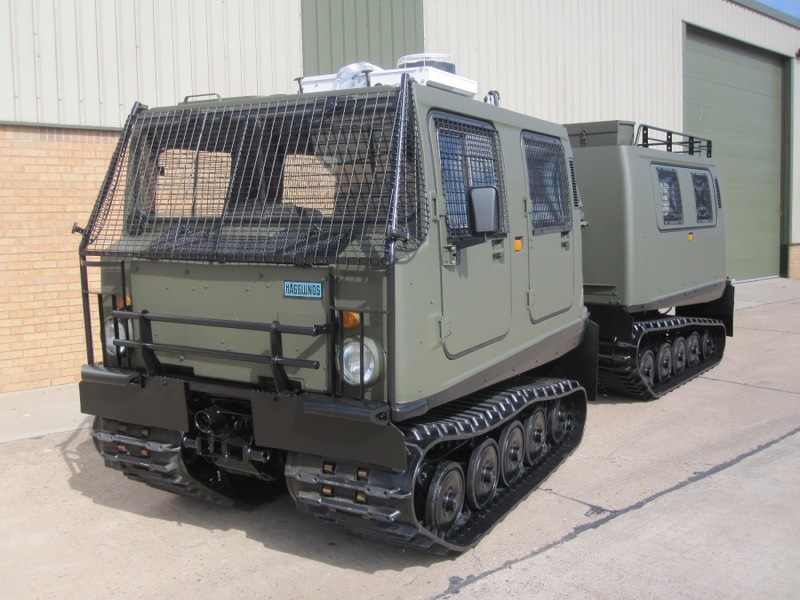 To meet the requirements of various defence procurement agencies, differing degrees of militarisation to the standard 4CX base machine have been undertaken. 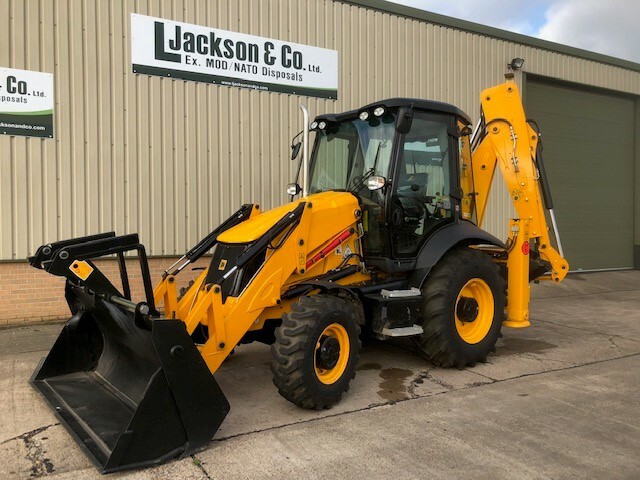 The standard militarised JCB 4CXM combines the current JCB 4CX platform with the P12 JCB backhoe loader cab, this being both C130 compatible and adaptable to meet armouring requirements. 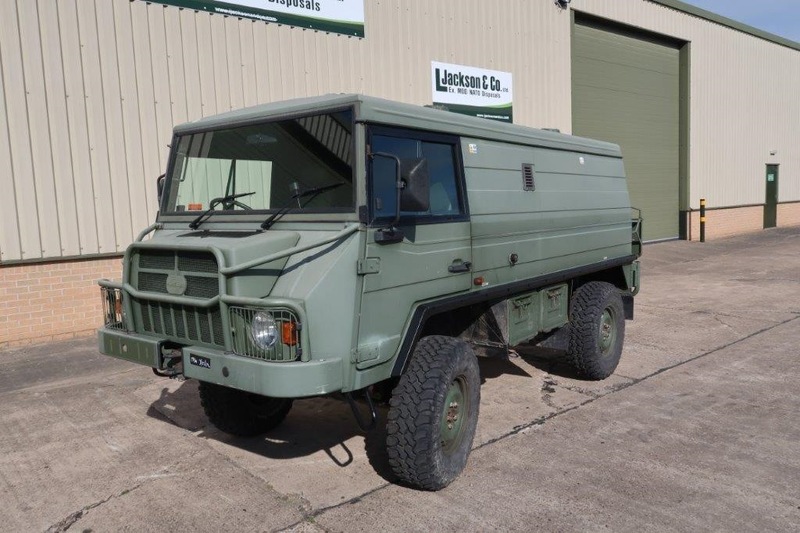 For the non-ALC UK and New Zealand requirements militarisation included a 24 V electrical system with a convoy lighting/blackout system, inter-vehicle start socket, guarded lighting, rifle stowage, diesel refuelling system, tyre inflation system, the option for an internal NBC kit stowage box, 1.5 m fording depth (1 m optional), and the option for a shovel-mounted 7,000 kg winch. The machine is also air transportable by C-130 Hercules and underslung by Chinook helicopter.